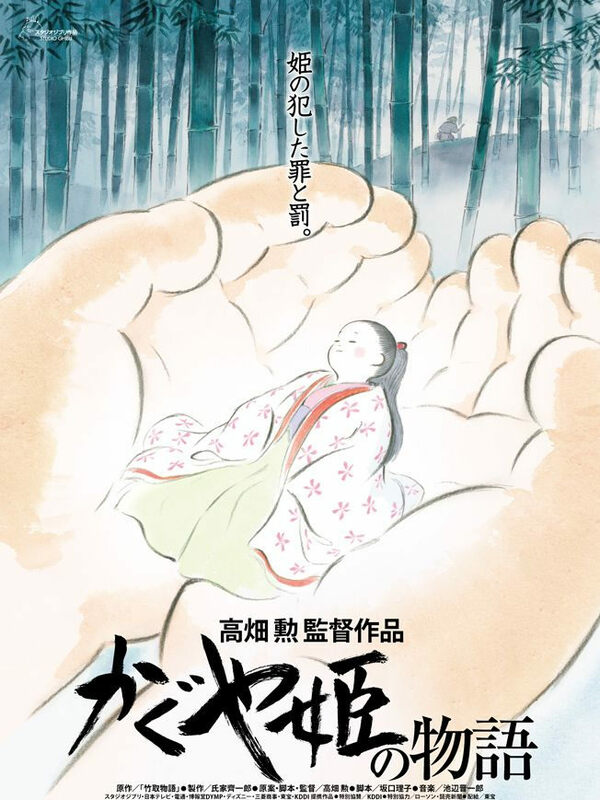 PennsylvAsia: The Tale of The Princess Kaguya (かぐや姫の物語) at Carnegie Museum of Art, December 1. The Tale of The Princess Kaguya (かぐや姫の物語) at Carnegie Museum of Art, December 1. A humble bamboo cutter named Okina (translation: “old man”) happens upon a glowing stalk in the grove near his house. When he investigates, the shimmering tree blossoms reveal a baby nested inside. Believing this discovery to be a gift from the heavens, Okina brings her home to his wife Ouna (“old woman”), with whom he begins to raise the child as their own. Dubbing her “Princess” Kaguya, Ouna and Okina marvel at how rapidly the girl begins to grow, racing from infancy to pre-adolescence in a matter of days. While Kaguya busies herself with a normal childhood, making friends with the local kids and bonding with an older boy named Sutemaru, her adopted father becomes distracted by Kaguya’s value to him—the bamboo shoot from which she was born begins producing gold. As Kaguya transforms into a teenager, Okina relocates their family to the capital city, where the girl receives lessons on how to be a proper woman, and is celebrated as a rare beauty. When five aggressive suitors come calling—followed by the emperor himself—Kaguya begins to feel trapped, things falling apart as she imagines a different life for herself. It goes on to say the film has "some of the most beautifully expressive animation that Ghibli (or anyone else) has ever produced". The movie runs from 1:00 to 3:15 pm. The museum is located at 4400 Forbes Ave. in Oakland (map), accessible by buses 28X, 58, 61A, 61B, 61C, 61D, 67, 69, 71B, 71D, 75, and P3. Japanese Conversation Table, November 30 at Pitt. "Kitsuke: The Art Of Kimono," December 4 at Pitt. CantoMando at Pitt, November 10. Asia Pop Karaoke Night, November 7 at Pitt. Multicultural Asia Day, November 10 in Erie.